Say hello to the Taf Toys Kimmy Koala Tummy-Time Book from the award-winning Taf Toys! This beautifully illustrated, freestanding tummy time book is the perfect companion for growing little ones learning to support themselves. With gorgeous images featuring Kimmy Koala and her baby, this lightweight book stands unaided and can easily be folded and fastened to fit in the change bag, or under the stroller. One side of the book shows high contrast black and white images to help developing little eye, whereas the flip side shows bright, wonderful colours for the later developmental stages. 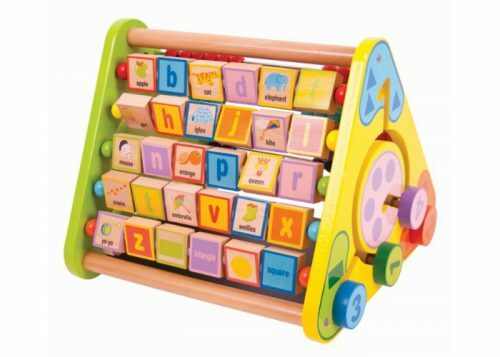 Features crinking parts, mulit-sensory textures, baby safe mirrors and an added teether in a cute little pocket.